Overall, it was a pretty interesting book. There were a few times when I wished the story would hurry and get to a point when everything just "moved". It took me quite a long time to finish book actually because of that. I couldn't read long enough to find where I felt like I had to read more. Just like all of her other books, the chapters alternate character's POVs which in some cases is awesome and in others just frustrated me. You're so wrapped up in these two specific characters and suddenly you finish the chapter and have to wait a couple more chapters before you could get back to them again. But, one thing's for sure, Ward really loves all of her characters. What I would have liked to see more of, were the lessers. I mean, each chapter dedicated to them were extremely short compared to the other characters - not that I'm complaining - I just thought it was sort of weird. It seemed to me that they had taken a back seat in this novel, making way for the numerous couples and sympaths. The love story between Rehv and Ehlena, although not my favorite (that title belongs to Butch and Marissa! ), was touching and definitely in my top five. The obstacles the two had to overcome were gritty and just plain angsty, and probably why they were so awesome. I can't wait to read more of them in the future. As well as our main couple, I got to see more of Beth and Wrath in this book as well, which was a nice surprise. There's also the developing relationship between Xhex and John Matthews which starts off rough for obvious reasons. 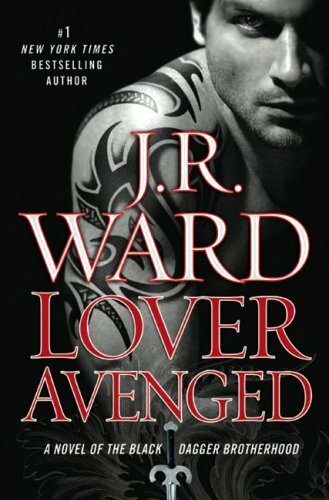 Lover Avenged was a great read and chapter to the Brotherhood series. J.R. Ward's done it again,drawing you in with yet another one of her mindblowingly amazing books. Don't skip out on this one. Cover/Title: Not a huge fan of it, but this was the first one in the series that I had the nerve to take out in public without covering it up.